The incipit are the opening words of a traditional manuscript or the beginning sequence of notes in music. 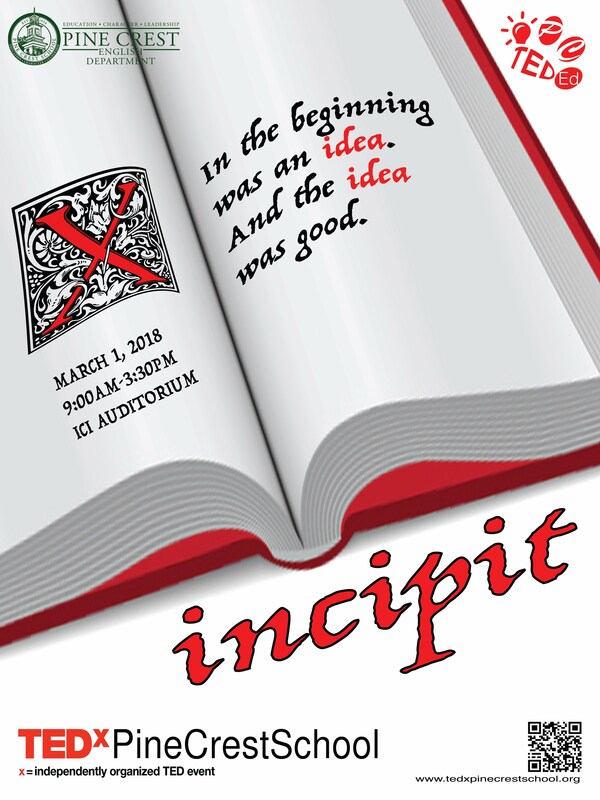 Speakers at this year's TEDxPineCrestSchool will explore beginnings in a variety of subject areas. Everything has a beginning, and these beginnings lead to endless possibilities. Where does a journey begin? How do we begin to solve the world's biggest problems? Where do we begin to find answers to existential questions? How do you begin your day? Are ends really just new beginnings? Find out the answer to these questions as speakers share their stories and expertise at INCIPIT.